Now that businessman Donald Trump has effectively wrapped up the nomination on the Republican side, the pressure for Senator Bernie Sanders to drop out and clear the way for Democratic front runner Hillary Clinton is mounting. But experts say there are many reasons he is staying put - a move that may even benefit the party in the end. For starters, even though it is unlikely Mr Sanders will get the necessary number of delegates to secure the nomination, the Clinton campaign will find it hard to criticise Mr Sanders for staying in the race as Mrs Clinton stuck to her own campaign until the very last primary in 2008. At that time, she continued to win delegates and states against then senator Barack Obama. In fact, she won five of the last eight primaries in May and June. Said political science Associate Professor Melissa Miller from Bowling Green State University: "Many people wondered whether Clinton's victories spelled trouble for Obama's prospects in the fall general election. Quite the opposite. Obama and Clinton remained in the headlines till June and Obama became a stronger candidate as a result." Staying in the news cycle is especially critical in a year when the Democrats are up against the master of publicity himself, Mr Donald Trump. Mr Sanders can also turn a deaf ear to Democratic party elites calling for him to suspend his campaign as they have not helped him in his campaign thus far. Many also suggest there is no need for Mr Sanders, 75, to get on their good side to prepare for a future campaign as he is unlikely to contest again due to his age. Instead, Mr Sanders believes he should continue to try to shape Mrs Clinton's position on issues - something he can do more effectively from his platform as a candidate. "Ideally, I'm sure he would like to see Clinton endorse breaking up large banks, his 'Medicare for all' health insurance plan, and providing free education at state colleges and universities," said political scientist Christopher Devine from Mount Vernon Nazarene University in Ohio. "Realistically, he probably recognises that she won't adopt these policies, but hopes that she will modify her current plans in the direction of these policies or, at a minimum, resist moderating her current positions during the general election campaign," he added. 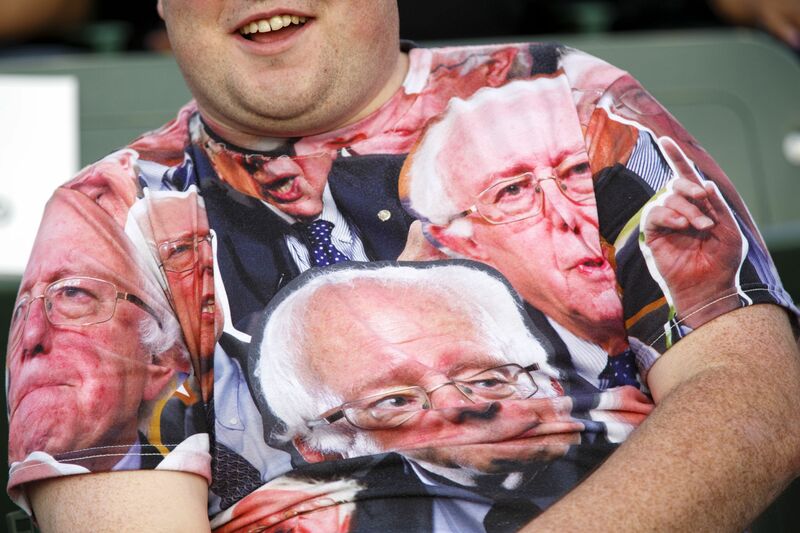 Dr Devine said Mr Sanders represents the views of many ideological progressives who want to make a statement against the policies and practices of Mrs Clinton and the Democratic Party establishment and "such symbolic statements are hardly unimportant". "They are an important means of expression that may ultimately allow the Democratic Party to rally behind Clinton as nominee because the voters have been given the opportunity to fully vent their frustrations, even in a losing cause," he added. Some experts believe it would not make sense for Mr Sanders to drop out now, after his Indiana and West Virginia wins. "I think it's difficult for Sanders to get out at this point," said Dr George Davis, associate professor of political science at Marshall University in West Virginia. "He's raised a lot of money and brought a lot of people into the political process. I think they expect Sanders to continue until the convention." While Mr Sanders has energised white working-class Americans and many young voters, which is good for the party, the question remains over the tone he will adopt if he chooses to proceed to the party convention in July. Reports have indicated that the Sanders campaign will have an agenda for the Party Platform, a formal set of principal goals supported by the party. Some changes his campaign might push for include the US$15 (S$20.60) minimum wage and electoral reform such as open primaries, making it easier for independents to vote for a Democratic candidate. "As Sanders continues to win primaries, it leaves the Democrats little choice but to include Sanders in the convention, and also to place considerable focus on the issues Sanders voters care about. I think you will see Sanders' influence really show up at the party convention," said Dr Davis.